The gruff and surly Mr Thomas Oakley is less than pleased when he is landed with a scrawny little city boy as a guest, but because it is compulsory that each villager takes in an evacuee he reluctantly agrees. 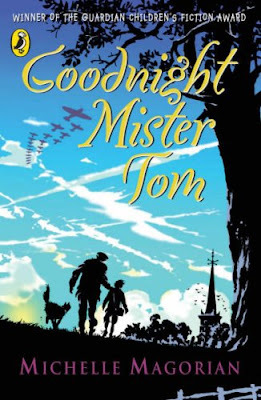 It soon becomes obvious to Mister Tom that young Willie Beech is hiding something, and as the pair begin to form an unlikely bond and Willie grows in stature and in confidence he begins to forget the past. But when he has to return to war-torn London to face his mother again he retreats into his shy and awkward ways once more. 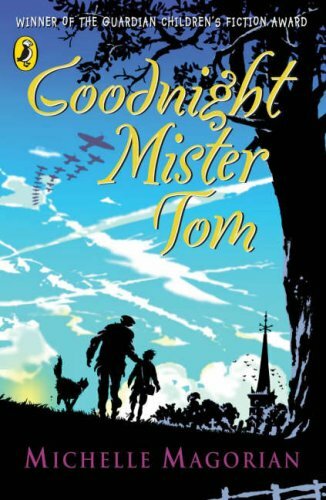 My English homework is to write a book review on Goodnight Mr Tom by Michelle Magorian so I thought I might as well post it here too. Willie Beech is a scruffy, quiet, abused boy who is evacuated to Little Weirwold in the second world war. He is given to a grumpy old man called Mr Oakley - or as Willie calls him, 'Mr Tom' - who is less than pleased to be lumbered with the child. Soon though, an incredible bond grows between them and Willie comes out of his shell. This is a heartwarming story, although it uses very old-fashioned vocabulary and it's really slow to get into. I found that sometimes the descriptions of people/objects/places were too long and too detailed so I got bored quite easily. Also the dialogue in this book is written in the accent of where Mr Tom lives which I struggled with. On to the characters. Tom Oakley seemed grumpy, horrible and annoying at the start of the novel - I thought he was a bit rude. As I read on, I started to like him because he started being nicer to William and he got more cheerful. It is like he changes into a new person throughout the story - Tom asks a neighbour if she would be kind enough to knit Will a jersey as he arrived only with the clothes on his back. "You ent gotta clothe em," she said but Mr Tom was persistent which shows his love for William. I liked William from the start, and I had a lot of empathy for him. It was easy to visualise him from the descriptions and just by the way he acted. You find out a lot about him just from this quote: "The sores will heal. They healed before. 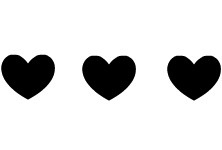 It's the wounds inside that will take the longest to heal." His mother is extremely religious and is always going on about how Willie is a 'sin'. She has mental issues and beats Willie which I suppose explains his behaviour - timid, shy, scared of everything. Overall, I quite liked this book although I'm sure I would have enjoyed it a lot more if I had read it at my own pace and not just a chapter being read to us each lesson. Also we missed out a few chapters because apparently 'nothing much happened in them anyway' so I can't say this is a thorough review. I give this book a rating of 3/5 and recommend it to people aged 11+ - adults will like it too. I have read this book several times and loved it each time. Great review!